I was listening to NPR’s podcast, Hidden Brain* last week and there’s this episode called, Embracing the chaos. It starts with this reference to the famous Jazz pianist that would host these improv concerts. He’d improv for an hour and a half and create this amazing music and people just loved him all the more for it. One evening when he goes to the concert hall in prep for the night’s performance he finds the piano horribly unplayable. By some mistake the correct piano wasn’t delivered. This one wasn’t tuned, half the keys didn’t work, and the upper register was so bright and tinny that you had to steer clear of that section altogether. It was a mess. He had a huge dilemma. He needed to decide what to do – he couldn’t possibly continue with the concert and let down thousands of adoring fans. Or continue with everything as planned but chance failing miserably by using this faulty instrument. He ends up getting talked into going ahead with the concert and has them record it to document what an utter failure this was and how critical it is to have a proper instrument for future concerts. What happened though was quite the opposite of anything anyone could have imagined. Once he started to play, honing in on the only sections he COULD use – the middle and lower registers – he made incredible music! The BEST concert he’s ever performed and the recording is his TOP SELLING record. He embraced the chaos in front of him relying on the preparation and skills he had and created a masterpiece. This applies to you and I as well in our daily lives. We all have a lot going on in our lives. I’m sure we all spend ample amount of time prepping for the day, the event we’re hosting, work, family life, etc. We prepare for it and we have this vision of how we think it’s going to go – then we have a choice to make, much like this musician, we can hold tight to these expectations that we have – this vision of how things are supposed to go – or we can let go and embrace the chaos before us while leaning on the skills we already have. You can EMBRACE THE CHAOS and use the skills and talents you already have to make a masterpiece. What can be done now? How can I move forward with what I’ve got? Yes, you can make a masterpiece of your day. You can make a masterpiece of a dinner, of a work project, of a family get together. When things don’t go the way you planned you’re going to want to feel bad – totally understandable! BUT…don’t stay there. Don’t wallow. Embrace the chaos and think of what you can do now. Now, how can I make this work? Years ago a friend of mine was asked to speak in church. She had the whole talk typed up on her iPad and felt prepared. But when it was time to get up to the pulpit her iPad wasn’t cooperating. She lost her notes entirely. She stood up there panicked and frantically hit buttons trying desperately to find her well prepared address. But then you saw this shift in her demeanor. 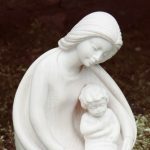 She stood up straighter, smiled a beautiful smile, set the iPad down and just stared out at the congregation for a few seconds while taking a long, contemplative breath. I’m thinking this is us visually seeing her embracing the chaos of what is. She then laughed about the circumstances and said, “obviously, that isn’t what I’m supposed to talk about today!” and continued on sharing raw experiences and truths of what had solidified her testimony. It was a great talk. She made a masterpiece out of chaos. You can do this too – no, I’m not talking about giving an impromptu concert on an unplayable piano or giving an on the spot talk with hundreds of eyes peering back at you. I’m talking about your day to day, everyday life. We all have plans of what we expect throughout the day. We think things SHOULD go a certain way but 99% of the time they don’t! So why are we clinging to this idea that things SHOULD be that way? I’m not saying, don’t plan! I’m a huge planner. Plan away! 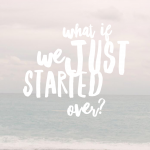 But when it comes time to decide if we’re going to cling to our notions of what should be and what is – it’s time to drop the previous plans and embrace the chaos of what is. What can I do now? How can I make a masterpiece out of this? When my youngest was 3 or 4 we had plans to go to the SF academy of sciences for the day with my nieces and nephew. We moms planned and prepped and made snacks and food and packed whatever we anticipated needing for the day. On the way there my youngest started feeling carsick. I opened the windows and told him to hang on! We were ALMOST there. We get there. I pull into the parking space, kids pile out, and BLAH…yep, right then – not even two steps away from the outside where he could have vomited on the grass and not on his clothes or in my car. This was obviously NOT in the plans and in all my packing do you think I packed a change of clothes? Nope. We were passed the potty training days with him so it didn’t even cross my mind. 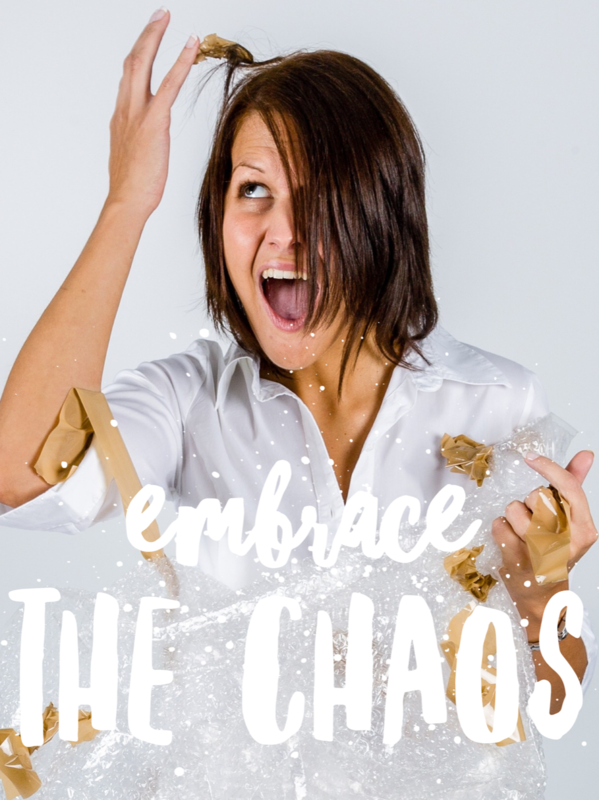 Embrace the chaos…what can I do now? I’m far away from home – we have 7 other hyperactive kids that are all dying to get inside the museum. My youngest is feeling better now that he’s out of the car. So I clean him up the best I can with what wipes I had in the car – which was not much and we head to the center. I give the 7 kids to my sister in law who is an angel! And my youngest and I head to the gift shop. I’m just going to buy him a change of clothes there and pay the ridiculous amount because it’s totally worth not smelling vomit all day. Only…they don’t sell pants at the gift shop. Skirts, yes. Baby clothes, yes. Tshirts and socks? you betcha. But pants or shorts or any other bottom??? No. So I get him a new shirt and embracing the chaos I decide I’m just going to have to rinse off his pants in the bathroom. So we head to the bathroom but this place is so efficient and sustainable that it’s a PAPER-LESS bathroom. There aren’t paper towels to wipe down his pants! Embrace the chaos, embrace the chaos…I take his bottoms and rinse them under the stream of water, scrubbing them the best I can with the pant legs – totally soaking them in the process and go to dry them with the hand drying machine…only it’s not a normal hand drying machine. It’s one of those machines that you stick your hands into AND it’s COLD air to save on energy and heating!!! Are you with me? Soaking pants (and they were the fleece lined pants so it’s REALLY wet), trying to dry them in COLD air inside the hand drying machine – knowing I have left my sister in law with 7 rambunctious kids and we’re taking a loooooong time in the family bathroom that was knocked on several times while we were in there. Not fun. Not fun. Not fun. Embracing the chaos. By some small miracle the pants were finally dry enough that they were just slightly damp and we went on our way devoid of vomit smell. I let go of the way I pictured things going and the expectations of how things should have gone and let them be what it was. We had a really amazing day (memorable too). We were able to create our “masterpiece” out of the chaos instead of letting that morning circumstance ruin the day. I know I’m not alone in mom woes or even just daily woes. Plan and prepare but when the time comes that things veer off course – EMBRACE THE CHAOS – make a masterpiece out of it. You can totally do it – and it feels so much better than clinging to what should have been.